This is one of the most insane, hilarious, painful things I have seen in a long time. Apparently this is a real event held on the incredibly steep Copper’s Hill in Gloucestershire, England. 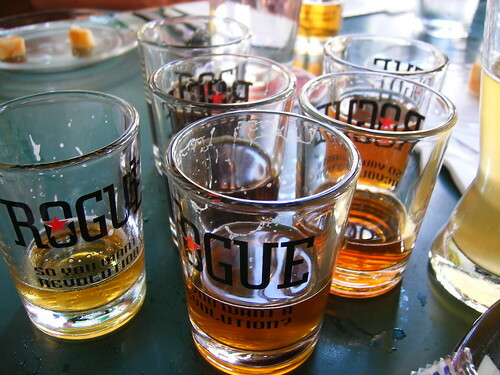 It’s like Jackass meets… uh, cheese! You can find out more about the annual Gloucester “Cheese Rolling and Wake” on their webpage. Seattle Cheese Festival Coming Up! 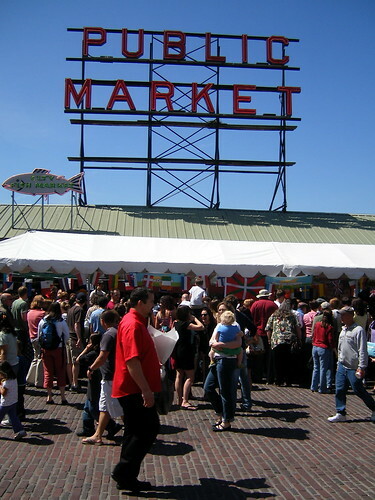 This weekend, May 16-17, at Pike’s Place Market in Seattle is the fifth annual Seattle Cheese Festival. There will be hundreds of different cheeses from local and international cheesemakers. There will also be bakers, preserve-makers, smoked meats, a wine garden and lots of other goodies. The event is free (though they accept donations) and cheese will also be for sale. Nicole and I are volunteering at the cheese concourse Saturday morning so if you see us, say, “Hi!” Right now the forecast is sunshine for the weekend so don’t miss out! Passion is a word that gets bandied about a lot in artisanal food circles. While it is easy to taste the passion that these craftspeople put into their foods, farms, and lifestyles, it is a rare opportunity for those of us living the more urban lifestyle to get out and see it in action. That is why after a delicious day at the Oregon Cheese Guild Cheese Festival and another dry, warm night in our yurt we were off for what, to me, was a major highlight of our southern oregon cheese weekend, Pholia Farm’s Open House. 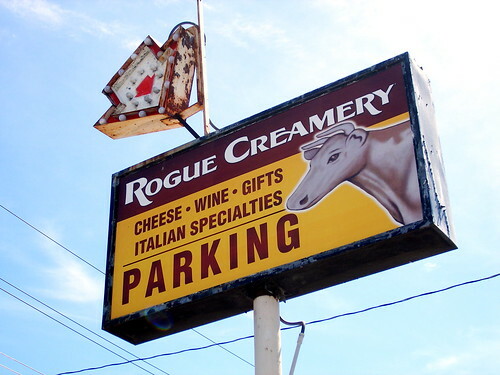 We just got back from a weekend down in southern Oregon attending the Oregon Cheese Guild Cheese Festival held at the Rogue Creamery in Central Point and an open house at Pholia Farms, a dairy producing wonderful goat cheeses in Rogue River, Oregon. It was a fantastic weekend, packed with cheese and wine and wonderful people. Before we start sorting through our photographs and organizing a writeup, we wanted to thank some really wonderful people…. First off, the festival was amazing — very organized — and all the cheese producers and winemakers brought delicious products and were so enthusiastic about what they were making. It was incredibly informative and a lot of fun. David and Cary, co-owners of the creamery — thank you for answering our questions and arranging a tour for us, you took the event from great to truly memorable and it was a delight and honor to meet you. Cheesemaker Craig Nelson and Anna Campbell for the informative and entertaining tour of the plant. You’ll always be Captain Cheddar to us! Vern and Gianaclis Caldwell at Pholia Farms for touring us around and answering our questions about home cheesemaking, living off the grid and chasing goats. Last but not least, it was fantastic to meet Bret Gilmore of Madrone Mountain Vineyard, if he’s not the King of Applegate Valley then he’s certainly the Court Jester. You can also bring donations of food to Saraveza which is serving as a drop-off site for canned goods. Saraveza is located at 1004 N. Killingsworth, in Portland. 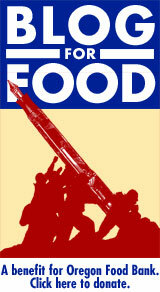 For more information on what types of foods the Oregon Food Bank is looking for, go to their website. They stress, however, that any foods can be put to good use. For more information and a list of all the participating bloggers, please check out Pacific Northwest Cheese Project who are the organizers of this drive. Please don’t wait — donate today!